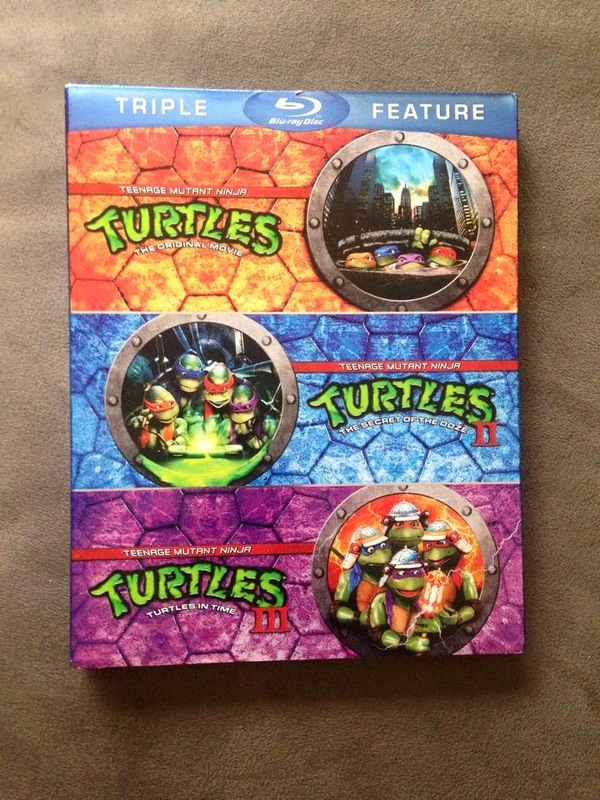 The Horror Movie BBQ: Ninja Turtles At 25 Giveaway! 25 years ago today, one of the most important movies of our generation was released. Yup. You know where I'm going with this. 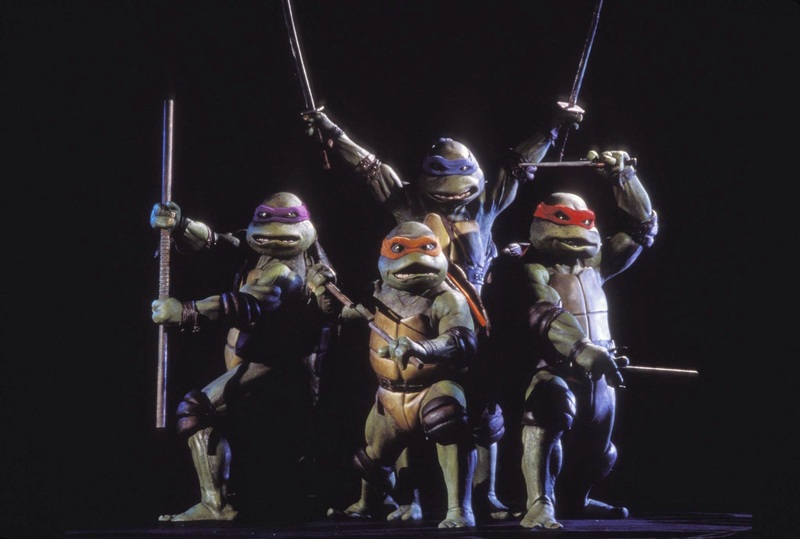 If you were an 8 year old boy in 1990, no doubt you remember the hype and the grandeur of the very first live action Teenage Mutant Ninja Turtles movie. Yes indeed. On March 30 1990, all of us lined up world wide to view this amazing masterpiece. None of us truly knew what to expect other than some serious ninja action and pizza loving. Although, I'm going to guess we were expecting a more cartoony version along the lines of the popular animated series at that time. The movie was a little darker, along the lines of the Mirage comic. But I feel it's safe to say everyone who walked out of the theater, walked out very happy. There was enough action and comedy to make it not come off as goofy. Which was good, because Batman was still fresh in our minds so I don't think we would've accepted a cartoon adaption. I can remember going to school the weekend after and gushing with all my friends, repeating the lines, laughing at Mikey's pizza shenanigans. In fact, my friend Brian threw a book at me all while screaming like Splinter had done in the movie and got in trouble with our teacher for doing so. Worth it. And of course when my friends and I met at the bus stop, we'd give each other a high five and scream COWABUNGA! Yup. It was a great movie for kids our age and to this day still holds up! Of course, there were so many great moments. 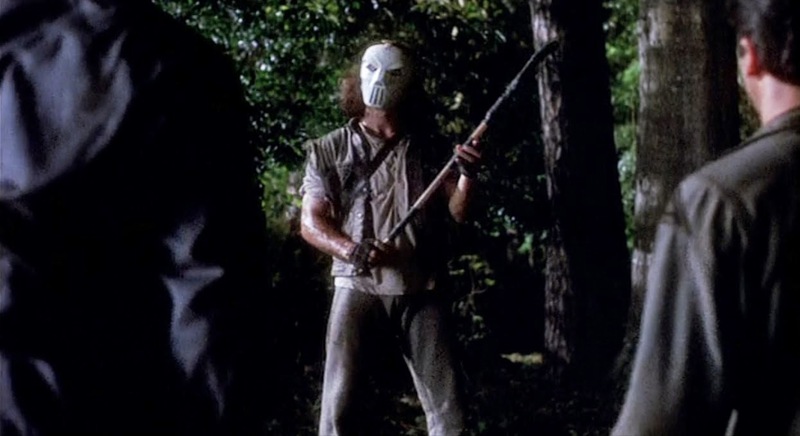 Shredder's appearance, the Turtles training at the farm, the final stand off between Shredder and Splinter, and of course, a huge highlight for everyone, Casey Jones. And let's not forget the soundtrack. While it's more of a hiphop/dance album, it definitely stood out. "Turtle Power", "Spin That Wheel", "This Is What We Do". If you hear those songs, you definitely think of this movie. It was a great companion to a fun movie. And come on, that poster? AMAZING. Definitely captured our imaginations as kids. It just looks like a movie poster should. Doesn't give us ANY information other than the Heroes In A Halfshell are coming to our local theater. It works. It gets burned into your memory quickly upon viewing. To this day, one of my favorite posters of all time. Now, since this movie is just so important, much like the Wizard, I wanted to celebrate it by doing a giveaway. So, I'm partnering up with QuiltFace Studios, to give away one of Quiltfaces best and most elusive posters ever. 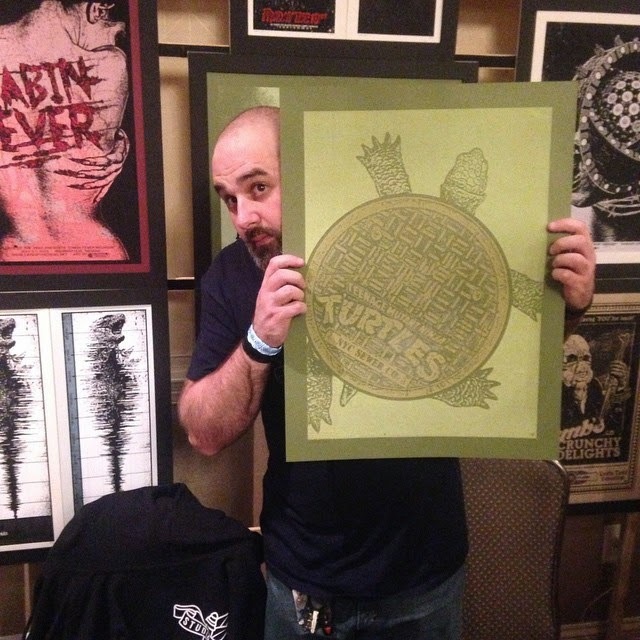 Yes, this glow in the dark Secret of the Ooze poster can be yours! These posters were limited to less than 5 worldwide. So if you own one of these, consider yourself one of the mighty elite! Interested to see what it looks like when it glows in the dark? Click here! It's a real beauty! The dreamy Chris G with the prize! Oh that's not enough? I'm all about pleasing my blog readers, so fine. On top of that, I'm also going to throw in the first three movies on bluray! No? Still not convinced? Fine! I'm throwing in a giant Ninja Turtles button as well. You remember these! Your sister had a giant button featuring Danny from the New Kids on the Block! Now, I've got your attention! How do you win this awesome prize pack? Simple! 1.) Head over to the Quiltface Facebook page here and give it a liking. 2.) Head over to my Facebook page here and also give it a liking, if you haven't done so before! 3.) Finally, in the comments section, all you have to do is tell me your favorite Ninja Turtles related memory. It doesn't even have to be from the 80s/90s era either. Did you grow up with the Next Mutation? How about the 4Kids series from the early 2000s? Or maybe the newest series is your personal favorite! Either way, please share your personal favorite! A winner will be chosen at random on April 13th and announced on the Facebook page on the 14th! Good luck to all who enter! Just remember, like the pizza man, no tip will be given for late pizza. Had to be the original movie as it was my first in-theater movie and one of my fondest memories. 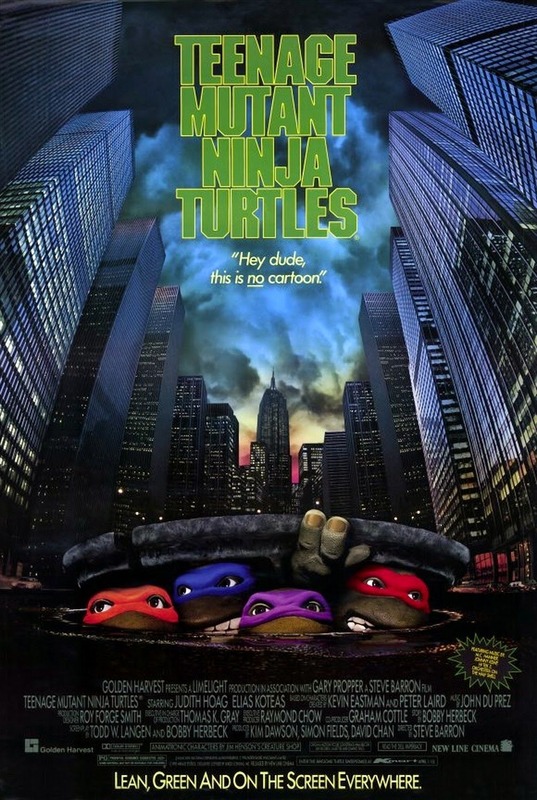 I remember when TMNT came out (although I was a bit older than 8), I missed it in the theater but was one of the first in line for Secret of the Ooze. My favorite memory was after watching Ooze, my dad, brother and I sat around making turtle puns for what seemed like hours (probably more like 10 minutes but ya know) very silly but a great memory none the less after all these years. 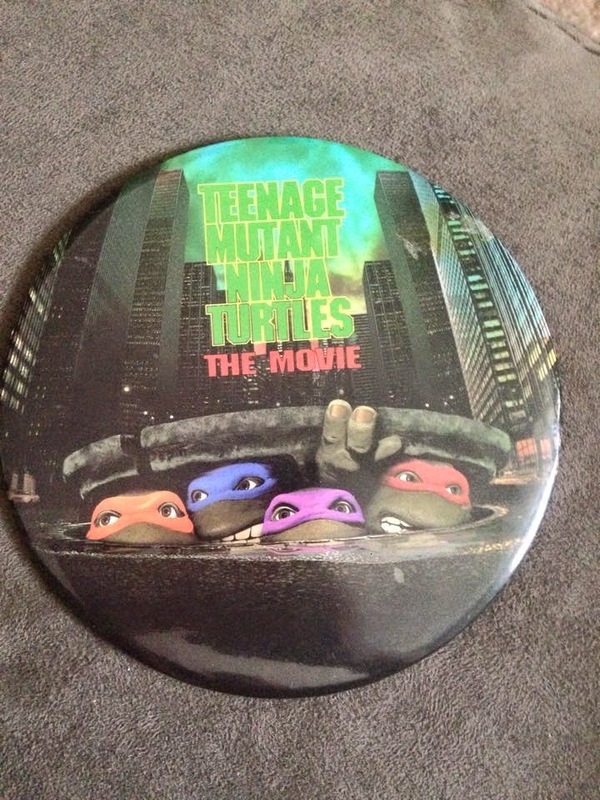 When I was real young probably not even old enough to appreciate it someone made an appearance at a store as the Turtles I think it might have been the movie versions not quite sure but I got a turtle button with the cartoon version of Michaelangelo on it from that thing. Idk if pictures were taken or if it actually happened but I vaguely remember it. When I got a bit older I watched the live action movie and I remember having some of the old cartoon VHS that I watched constantly. It was an episode with a magician and the fly dude or I could be confusing two episodes together. My favorite TMNT memory is from my 8th birthday party, where Raphael (a guy in a massive costume) played music and danced with us kids. We all bopped around singing the cartoon theme & songs from the movie soundtrack. It was the best...day...ever. My favorite memory revolves around the toys. Specifically, of picking up Slash off the shelves in 1990. I wasn't collecting TMNT toys at the time (and wouldn't seriously begin doing so for another 20 years!) but there was just something irresistible to me about that bizarro anti-ninja-turtle! Slash would remain my sole ninja turtle toy until about 2004 when I obtained the Toddler Turtles. Back in '93, my parents and I were preparing to move (Dad was in the military), and the last thing I remember doing with my best friend Andy was them taking us to seeing "TMNT III". I recall that we sat up front, and it was an awesome experience. Part III doesn't hold up as well now, but for us it was great. And because of the memories that it evokes, III holds a special place in my heart. My favorite memory is having the pizza box cut-out mask. And my favorite incarnation is the first movie. How I didn't wear that VHS out is beyond me. The line at the end where Michelangelo says, "God, I love being a turtle!" still gives me chills to this day. I had a TMNT themed birthday party at the local bowling alley the year Secret of the Ooze came out. Pizza, a TMNT cake & tons of Turtles figures... It was awesome! Though the time I went Trick or Treating as Donatello is definitely up there too. I will have to go with my first memory of the Turtles. The moment that changed things forever. For my fifth birthday I got my first turtle toys. Two Donatellos, a Raphael, a Shredder, and the Turtle Trooper. the original soft heads, of course, which I chewed on from time to time. Returned one Don for a Foot Soldier. Still the best foot soldier design. A day doesn't go by that TMNT doesn't cross my mind. Childhood obsessions never seem to let go. Nostalgia runs deep. My favorites are obviously the origianl TMNT movies; i grew up with those along with the TMNT cartoons. My son and i are creating new memories because i introduced the OG movies and cartoons to him and we make it a weekly ritual of watching cartoons and eating cereal in the mornings. My favorite TMNT memory is getting The Secret of the Ooze on VHS for my birthday one year. I was too young when it came out in theaters, but I was a big fan of the cartoon. We had the first movie taped off of TV, so I was dying for the sequel. When I finally got it, I think I watched it so much I wore the tape out. Still have it though! My best memories of the Ninja Turtles would be watching the movies with my brother when we were kids! Thanks so much for the chance! When I was still a tiny child, maybe 7 or so, I dressed up as Leonardo and performed Vanilla Ice's "Ninja Rap" at my school's talent show. Combination best/most embarrassing memory. There's a lot for me but one that stands out is when I was probably around 6 or 7 it was my birthday and my Dad had had to be away for a few days and was supposed to get home in time for my birthday. We had a party and all the while I'm wondering if he is going to make it and right at the end he pulls up and has with him a ton of TMNT action figures for presents. That was a good way to end a 7 year old's birthday for sure. Getting into the original comics in '84...so out there yet a total blast! I remember seeing a TMNT electric toothbrush on one of those Home Shopping channels as a kid and calling in without realizing that you needed a credit card. When they asked to speak to a parent, I went and got my mom who was shocked I called in without asking for permission. She could see how much I wanted it though, so she ended up springing for it. If I remember correctly, it was a Michelangelo toothbrush! Taking my sister to the movies for the first one.